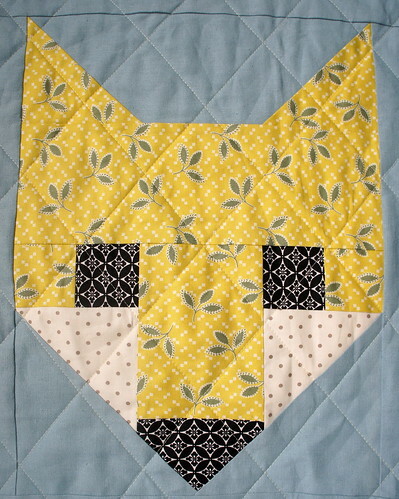 The mama has finally received her quilt, so I’m happy to share with you a baby quilt that I recently made for a very special baby #2. 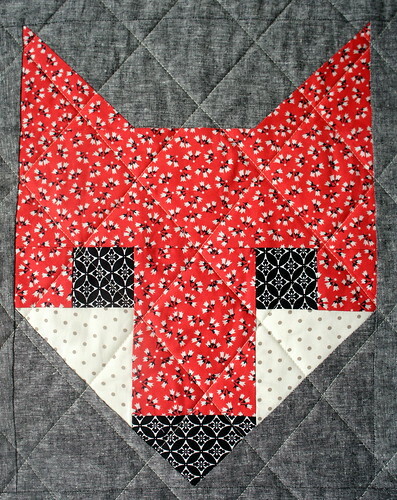 I used Elizabeth Hartman’s wonderful Fancy Fox II pattern and I couldn’t have been happier with it. 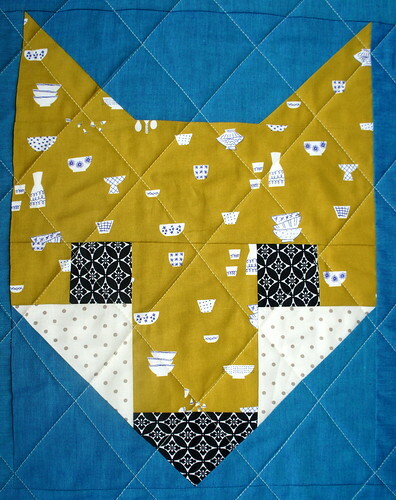 Each block was fun to make and I enjoyed picking out the perfect set of complimentary fabrics that would work for a little boy’s quilt without being too boyish. Denyse Schmidt fabrics made a heavy appearance here as they often do when I work with oranges and yellows…She’s really good at warm colored fabrics. 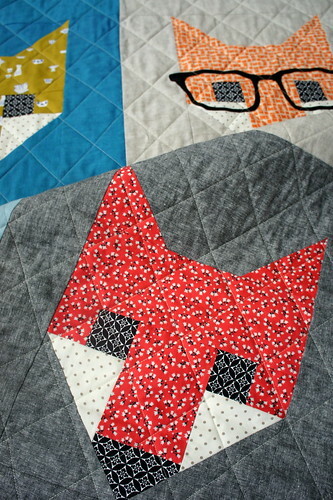 And all of the background fabrics were linens or shot cottons, so they added a nice depth and texture to the quilt. 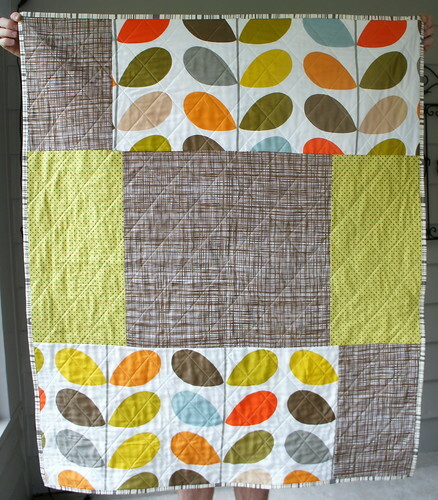 This is the quilt that I did the glue basting on with the binding and then machine sewed. 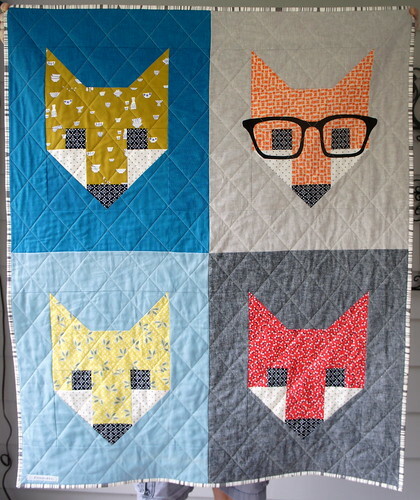 (Some of you were asking for pictures of the whole quilt but I couldn’t share until the mama got the quilt!) As you know, I was happy with how the glue basting went and I’ve already used it again for another quilt that I plan to hand sew the binding down…more on that later. My color scheme was largely influenced by these pieces of fabric I had planned to use on the back of the quilt. They are from a bedding set I bought designed by one of my all time favorite designers, Orla Kiely. The two pieces here are cut up from the King Size pillow case shams that came with the set. And the brown cross hatch is from those as well. I used up every last piece of fabric from those two shams!! And I’m not going to lie. I love the back almost as much as the front. 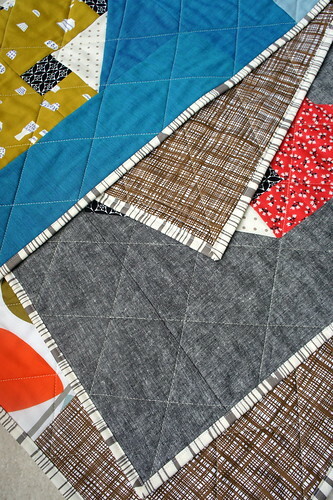 For the quilting, I really wanted to do a wood grain free motion quilting design like Elizabeth does on her cover quilt. But my machine needs a little service right now before we are on great terms for free motion quilting. 😉 So I opted for another great option…the cross hatch. I marked them three inches apart and I LOVE that scale for this quilt. All of the elements came together really well and I was so happy with how it turned out. Right down to that wood grain grey binding. Nice selections of prints and interesting solids! Love the glasses! Are those your added touch? Oh thank you! And I LOVE the glasses too. They are actually part of Elizabeth's fantastic pattern. They are appliqued with a satin stitch. 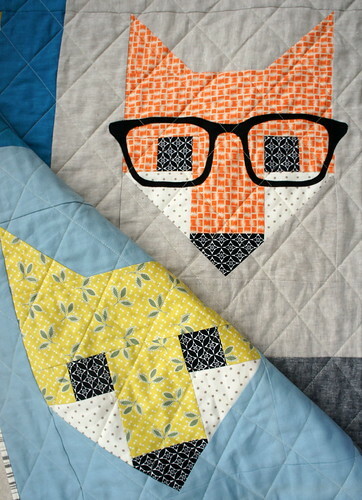 I ❤️ everything about this quilt from the fabrics used to the pattern and quilting It's a perfect baby gift. 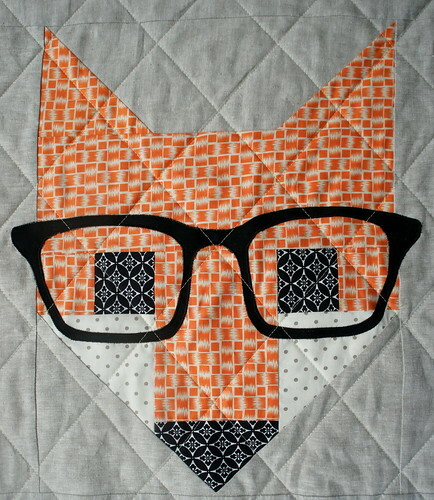 I just dove this pattern, foxes with glasses and all! 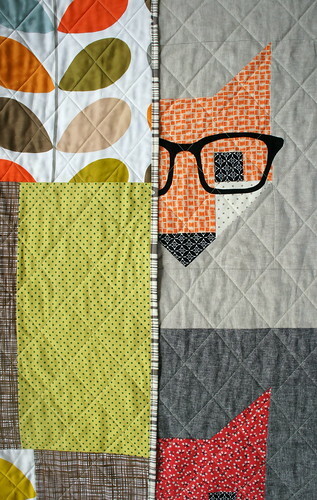 Love the polka dots for their cheeks and that fabric for their eyes and noses is perfect–and how cute that you rounded them all up with a woods for a binding! 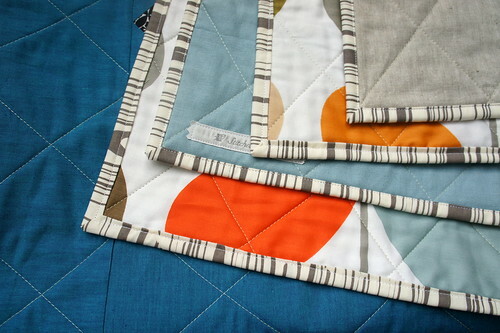 Great pick of fabrics–I love a baby quilt that has some real bright colors to it! Lucky baby! Thank you! I picked each fabric very deliberately and was happy to find the perfect fabrics in my stash. I knew there was a reason I have so much fabric!